Contractor Quotes: Let's Make Your Project a SuccessContractorsCarpenterWhat is Crown Molding and Which are the Best Materials to Use? What is Crown Molding and Which are the Best Materials to Use? Some homeowners consider whether crown molding is something they can install themselves, or whether they need to have it done by a professional. Our recommendation is that you do not try to do this job yourself but instead leave it to the pros. Even if you’re trying to save some money, this is not a good place to do so. Doing this project is not easy and should be left to crown molding carpenters near you to ensure that it’s done correctly and safely. Having it installed by a pro does not need to mean you’ll be paying too much for it. The easiest way to ensure you get it dome at a cost you can live with is by filling out the form at the top of this page and getting quotes from multiple, competing crown molding installation companies. Before you start, it’s also good to know there are in fact different materials that can be used for crown molding as well as just quickly thinking about the purpose of crown molding. Molding is a product used to make those awkward spaces more beautiful, where the ceiling and walls meet. You can get it with a lot of different budgets. Some crown molding is prefabricated, or you may instead get something custom made, which will naturally also be more elaborate and beautiful. If you are having something custom made, it’s generally finish carpenters that are responsible for the artwork. Making custom molding requires a lot of skills and will be done by a pro. The different materials have their own advantages and disadvantages. While it may be cheap, it isn’t for those people that really want something beautiful. From a distance, it will get the job done, but up close there are more visually appealing options. This material is rubbery allowing it to curve and can be installed where straight crown molding cannot. It does need to be special-ordered according to your project’s specifications, though. For those places where there’s a lot of moisture, PVC is often the chosen solution. While the best option is to get adequate roof vents installed to limit the moisture buildup, there are some places like bathrooms where it can be hard to always ensure good moisture levels. PVC does have limited design options and is difficult to paint too. While it may serve its purpose in bathrooms and outside, it’s commonly not otherwise used inside. It looks a lot like wood, although not being the actual thing. The design options are pretty good, although it has a tendency to dent more than wood. It is really quite one of a kind and you will get beautiful designs with this option. The issue with wood is that it can shrink or expand depending on the temperature, meaning it is especially not very good for the outdoors and bathrooms. Unlike wood, plaster crown molding does not warp or shrink depending on the weather. Beautiful designs are created with this material, the only down side is that it also comes a a cost. As you can see, there are many different types of material used for crown molding, and if your budget is not the main concern, wood or plaster are some of the most beautiful options. Making crown molding yourself is near impossible if you don’t have the right tools and experience. While you may be able to buy prefabricated crown molding, it will likely need to be cut so that it fits in the specific rooms that you want it in, and getting the angles correct is not easy, and if cut incorrectly will mean that the molding that you bought simply needs to be thrown away. In order to avoid that, it’s better that you team up with and use the help of a pro who is well capable of doing this, as well as having the right tools for the project. When walls are uneven, it only becomes more difficult to do. While you may think it’s a process that you’re capable of doing, you’re likely underestimating the difficulty of nailing on uneven surfaces. Trying to install crown molding yourself is tough and if you end up ruining the crown molding, you may also end up spending big amounts of money on new product. If you want an easier solution, you can spend the time with your family and get the work done by a carpenter instead. They will make sure everything is cut the right way and neatly without wasting anything. How Much will it Cost to Get it Installed? As with any other type of home improvement project, the cost of installing crown molding depends on several factors. The more time that’s required to do the work, the more it will naturally cost. 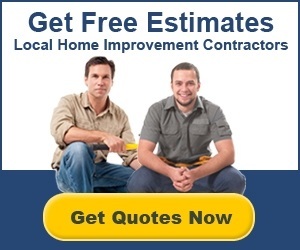 The easiest way to make sure you’re not overpaying for the project is by getting quotes from competing carpenters, which not only is free but which means you can get their input on the job too. Getting it installed generally costs somewhere between $550 and $1,700, but again, it depends on whether you’re getting custom work done or getting the help getting prefabricated ones installed. While it may seem like a sizeable amount of money, consider it an investment in your home instead. It makes your home more beautiful and at the same time, it increases your home’s value too. Getting in touch with professionals does not need to be hard at all. If you have come to the conclusion that it’s better to get help with this home improvement project, what you are currently looking to do now is to make sure that it gets done right and at a fair cost. The easiest way for you to make sure that you get it done and at a good price is to use the form at the top of this site and fill it out with the information for your projct at which point we will match the requirements of your project with the right contractors in your area. The local crown molding carpenters that are notified will then be able to reach out to you to get more details from you and work on providing you with the best solution. They will not only listen to you when it comes to the design and materials but may also suggest possible changes you didn’t think about, and when you are ready, they will send you their quotes for the project. The advantage with doing it like this is that they know they’re competing for your attention, meaning you will end up receiving very affordable quotes as a consequence.